Every week you will receive a BRAND NEW DECREE from Dan Fowler on a variety of topics from Gratitude, Service, Doubt, Manifesting, Business Best Practices, and Thought Leadership. Once you are part of our community you will also have access to other programs that can help you manifest on-demand in your businesses, relationships and life. Some will be free to low cost and some will be for more advanced users looking to up level their experience and elevate to their NEXT INSPIRED STEP! 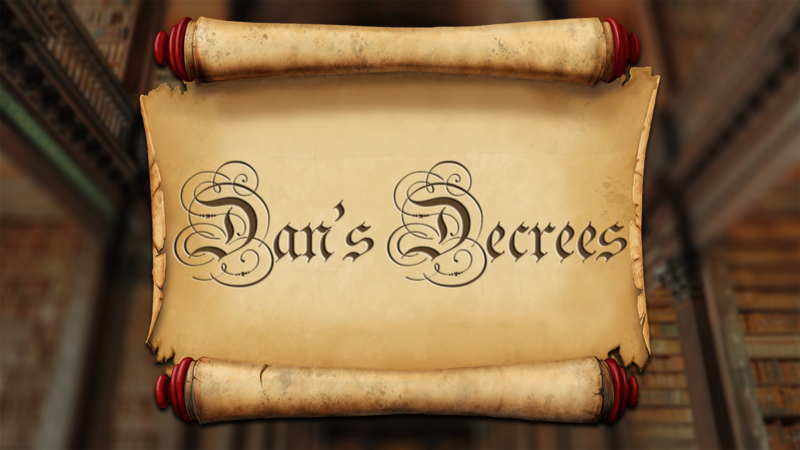 Click the offer tab to the right and register now for Dan's Decrees! Dan's Decrees is a 29-Week Wisdom Course with videos, downloads and actionable information to help you manifest on-demand in your business, relationships and life.